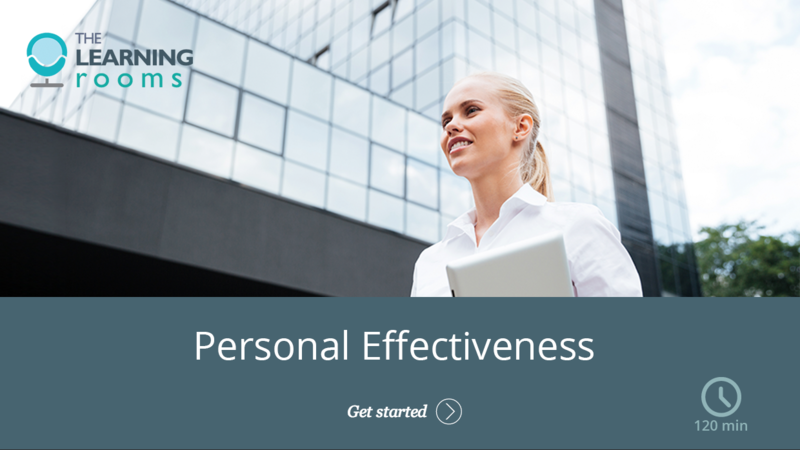 The Health Management Institute of Ireland, with our digital learning partners The Learning Rooms, have released Personal Effectiveness, our new online course which builds on our very successful and ever popular Managing People online course. Personal effectiveness stems from the self-help movement dealing with success, goals, and related concepts. It encapsulates ideas of positive thinking and positive psychology. Personal Effectiveness relates to the use of your personal resources such as your talents, skills, energy and time to enable you to achieve long and short term work goals. The first course will run starting 12 March 2019. Participants will have three months access to the course content and complete the course in their own time. The course fee is €95. HMI members can avail of a 10% discount and discounts for group bookings apply. For a full course description visit the Personal Effectiveness, online course page. You can book individual places on upcoming courses by visiting our Events page. If you are interested in delivering our online courses throughout your organisation please contact us for a demo and quotation. These courses compliment HMI’s growing range of digital learning solutions for the Irish healthcare market. If you have any specific eLearning requirements talk to us to see how we can help you along your digital learning journey. It’s not only about saving costs or training time. Digital technology has revolutionised how people access, consume and share information. Learning technology has enabled people to learn differently. Is it time to transform L&D and embrace digital learning in your organisation?